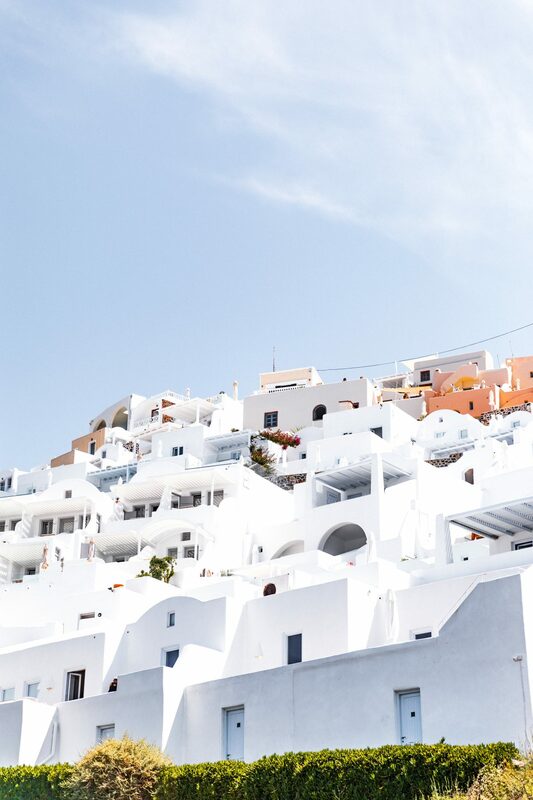 When someone is asking about Cyclades Islands all that you can think about is white and blue. Blue is the sea and the sky. White is every single cubed-shaped house. 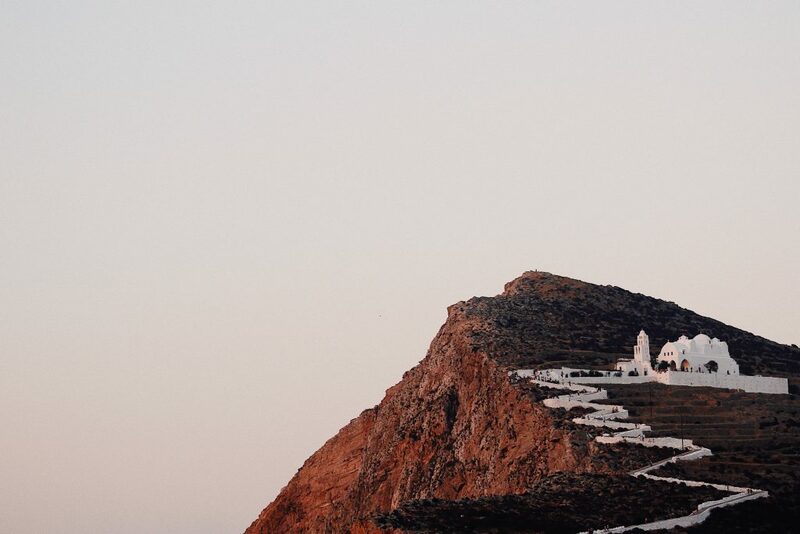 White is the church that stands out of the rocky ground and the paved paths of white villages. The scenery is the absolute example of minimalism, but it can indicate more than a minimal aesthetic. It is known that in ancient Greek art and architecture there were used colors made from plants and flowers. In the Medieval era, when the Aegean islands had a huge problem with piracy, the villages were surrounded by walls. The only color was one of the rocks and the earth, so they were less visible and safer from the pirate invasions. In 1938, the Greek dictator ordered to paint all the buildings with lime, a white antibacterial material, so it could stop the spread of the epidemic disease of cholera. In 1955, the Queen Frederica of Hanover presented to the Greek Prime Minister a photo of some perfectly-conserved white houses of Mykonos. She suggested white as the “trademark” of Greek islands. 1967 – 1974: The military government commanded to paint everything at the islands white by law. Even the islands that weren’t white before, were forced to change their local identity and to follow the ethnic style of blue and white combination, along with the colors of the Greek flag. Now, the white color is not obligatory. For locals living in the islands, it means cleanliness, clarity, and protection from the heat because is reducing the solar absorption. But, what does the white color mean to us? Does it matter if white exists because of past epidemic diseases, the desire of a Queen, political reasons or a touristic branding? 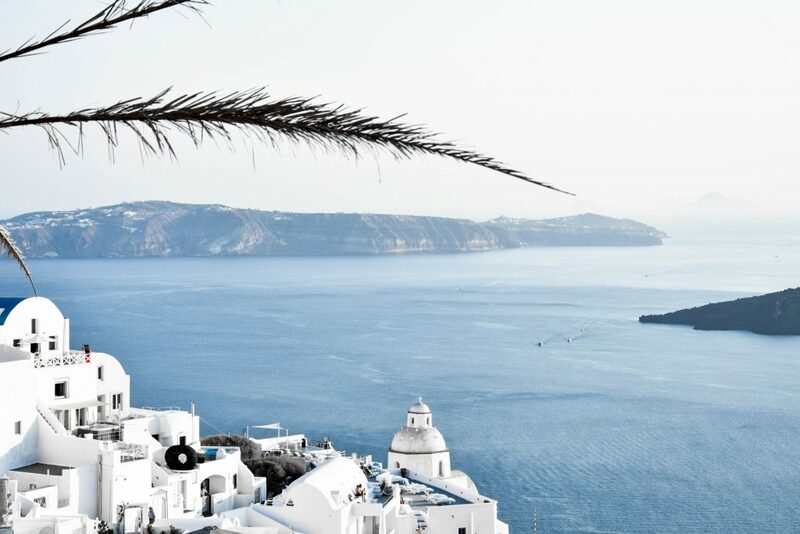 When you are witnessing the scenery of Cyclades Islands it is impossible not to fall in love with the beauty. You can’t help but be in love with the forms, the textures, and the way that the sunlight is reflected on the surfaces. Finally, you have to admit that all of this is a matter of material and color. A matter of white color.